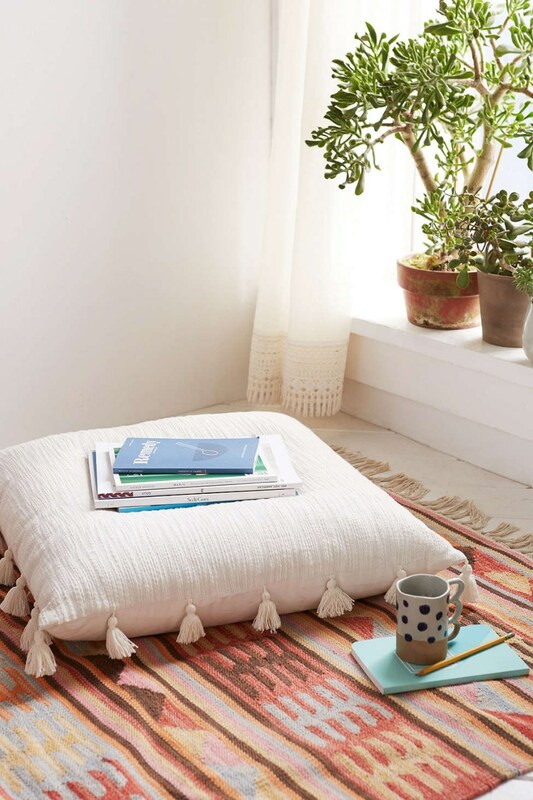 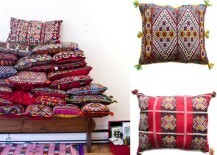 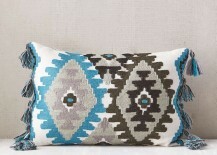 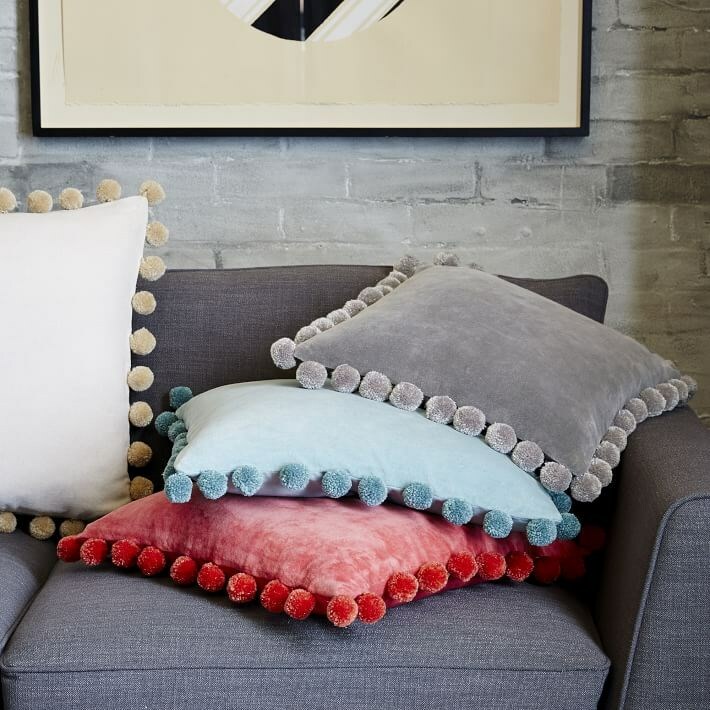 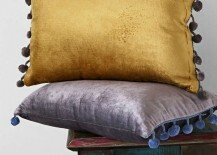 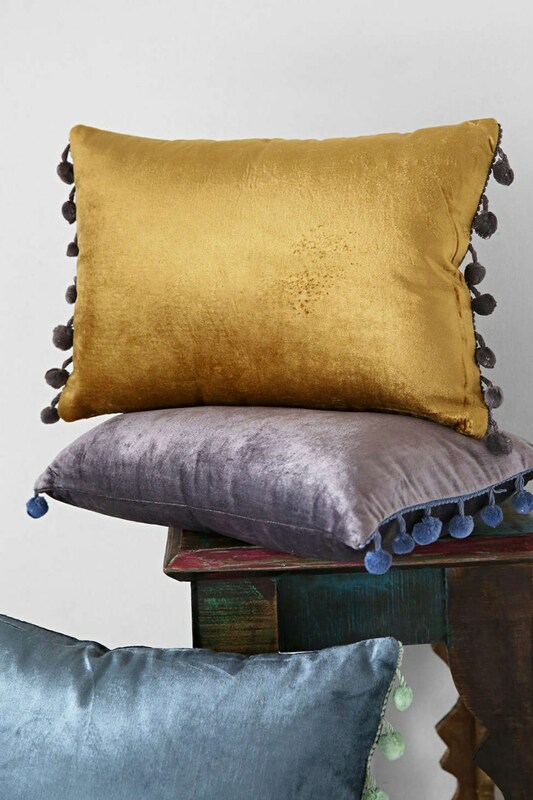 Monochromatic style is alive and well in these Jay Street Ashti Pom Pom Pillow Covers from West Elm, shown below. 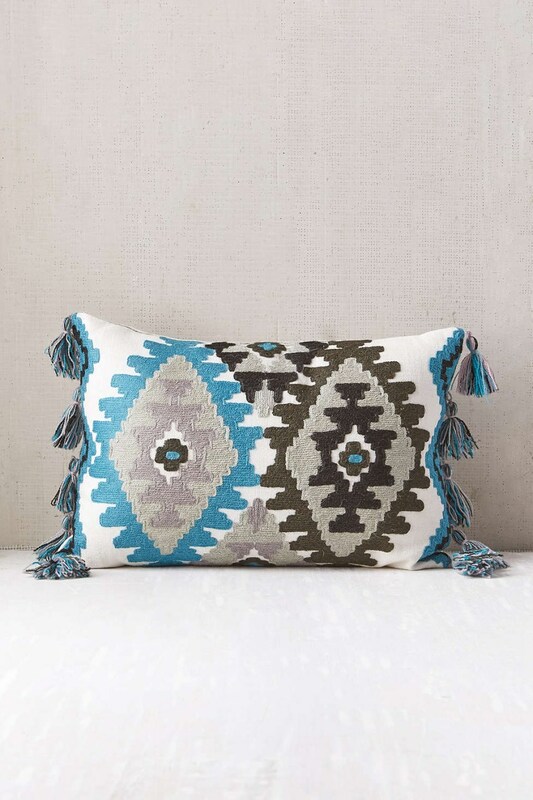 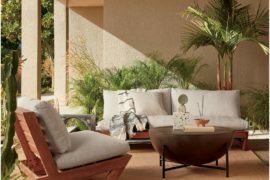 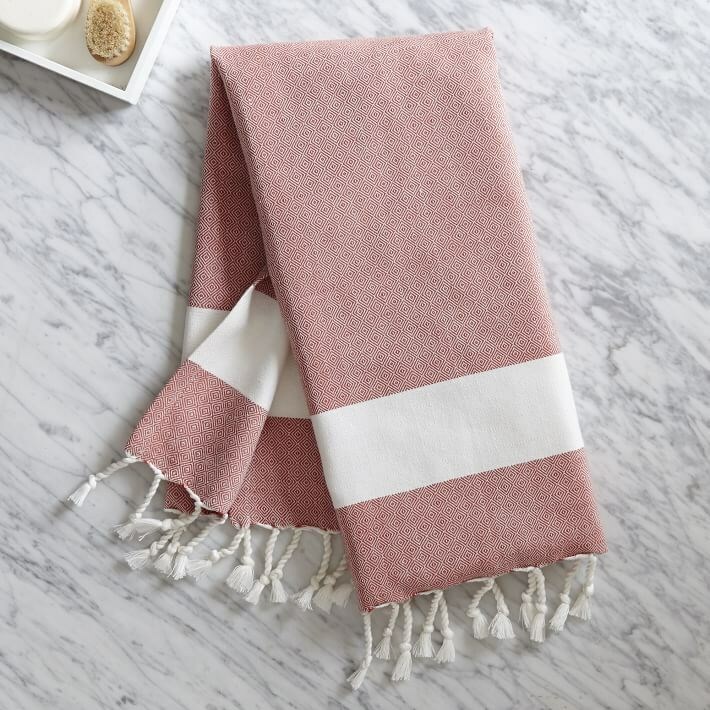 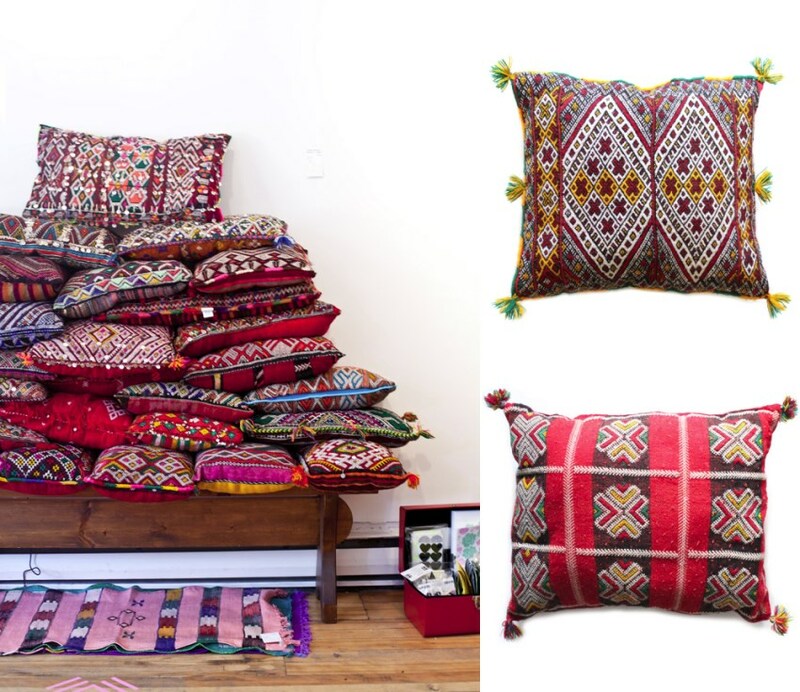 The result of a collaboration with Brooklyn’s Jay Street Block Print Company, the pillow covers are handcrafted by Craftmark-certified artisans in India. 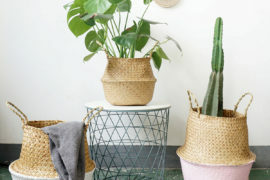 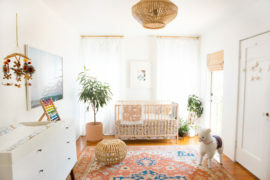 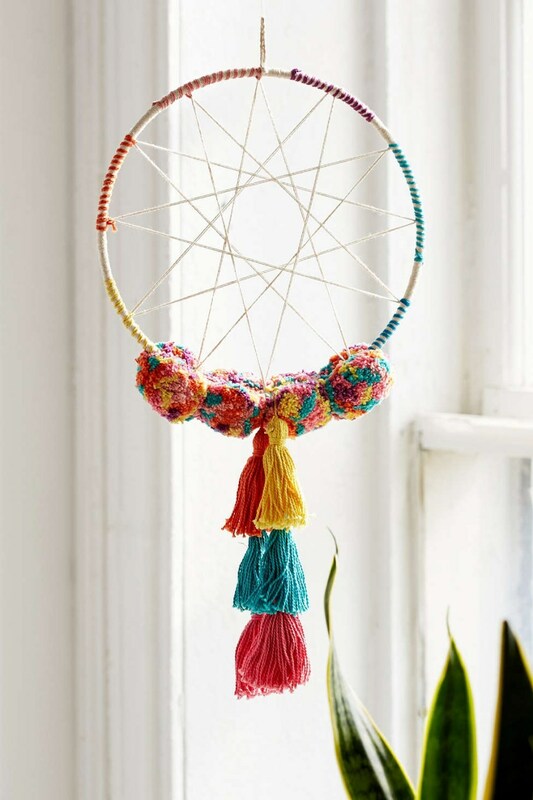 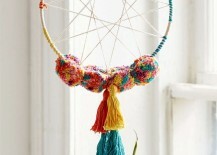 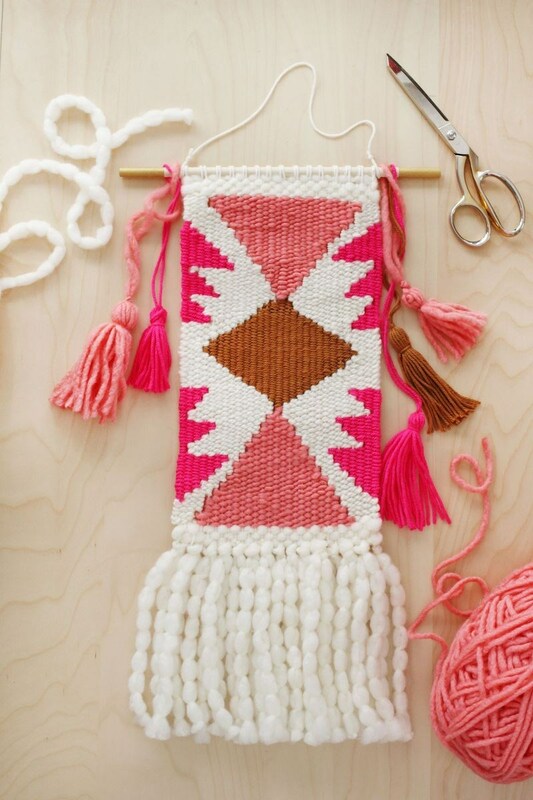 We now move from pillows to wall hangings and baskets, starting with this wall hanging tutorial from A Beautiful Mess. 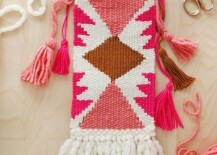 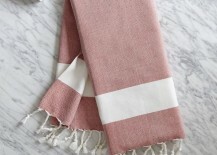 Even if weaving isn’t your cup of tea, the post features a tassel tutorial that you won’t want to miss! 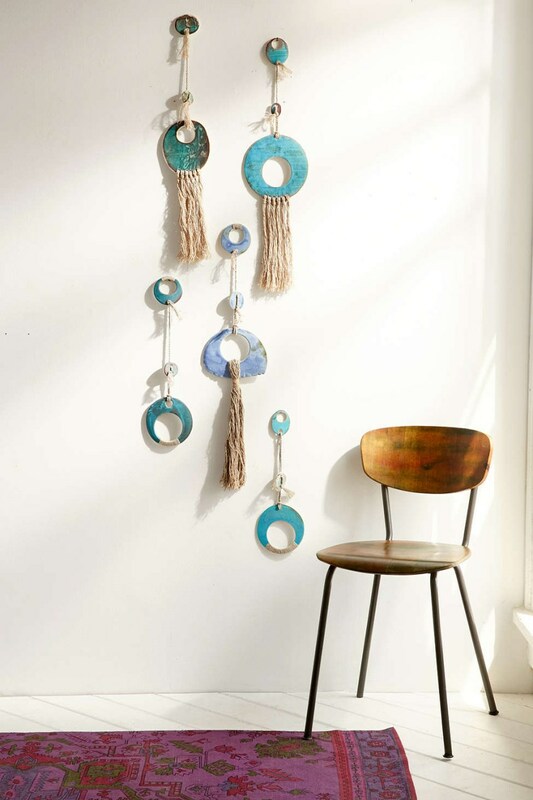 As with the pillows above, Urban Outfitters is helping to lead the pack when it comes to tassels and pom poms in the realm of wall hangings. 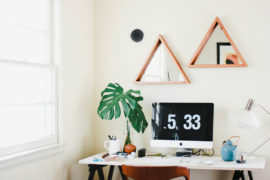 Below we see the Cathy Callahan X Mt. 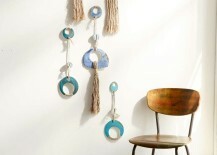 Washington Pottery Clay Wall Hanging, shown with an array of other earthy selections in the image below. 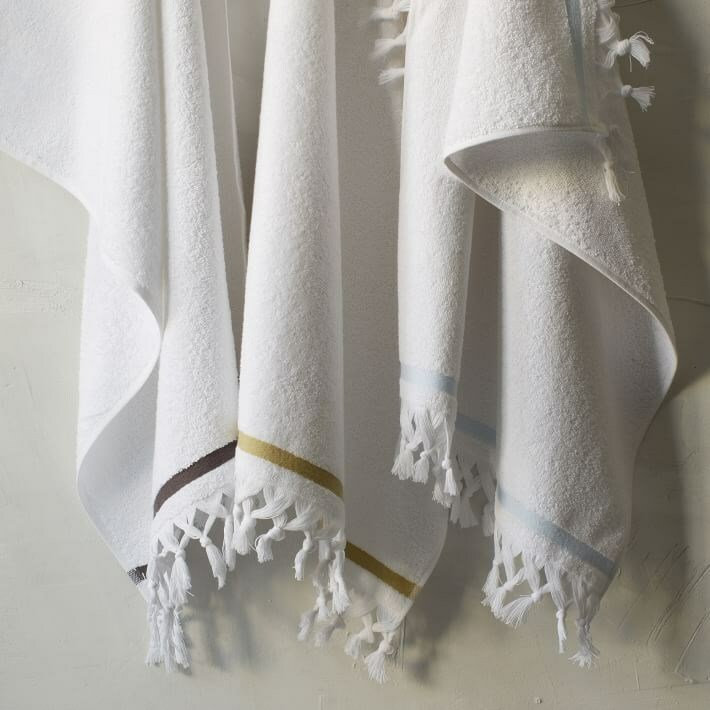 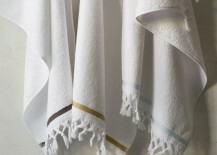 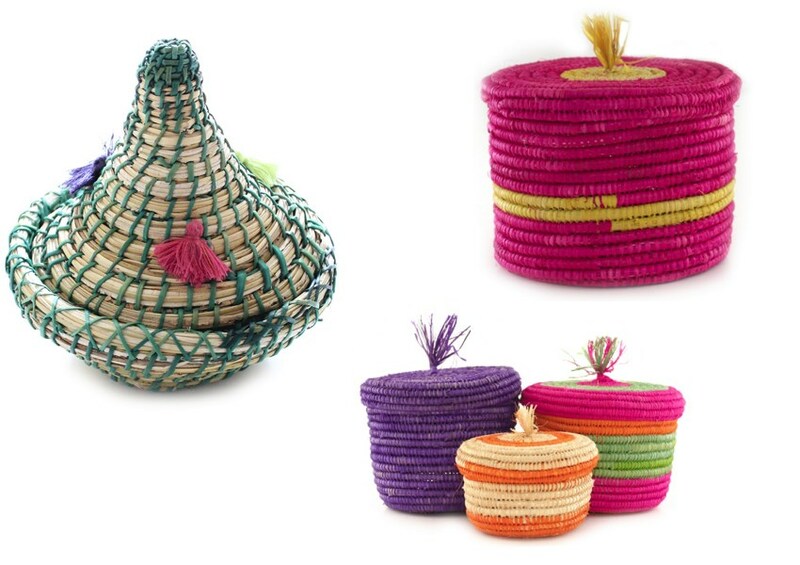 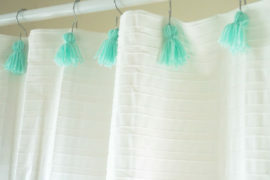 The tassels are made from linen, the perfect addition to the wall hangings’ ceramic forms. 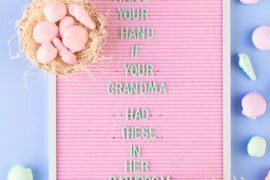 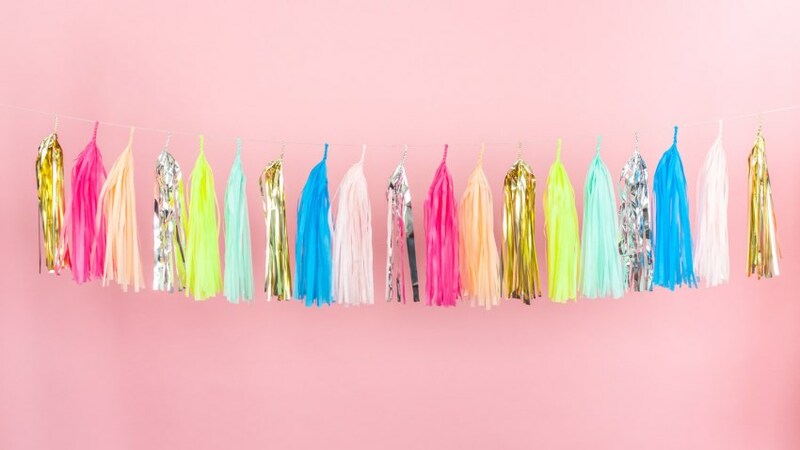 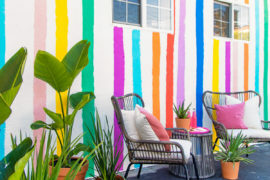 As showcased in our recent post on party supplies, Brit + Co offers a Neon and Pastel Confetti Tassel Garland (by Studio Mucci) in their B+C Shop. 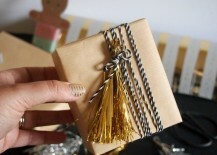 Tassels are a popular party favorite, and tassel garlands are a go-to supply that signal festivity and glitz. 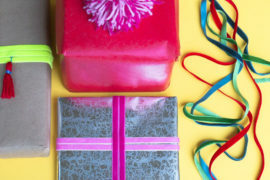 Decoist’s own Thalita Murray is a tassel expert, and she shares a fun DIY for Metallic Tinsel Tassels that are perfect for holiday gifts, as well as chic embellishments at any time of the year!